The Unrestricted Motorcycle (R) Licence is a mandatory 1/2 day Q-Ride competency based training and assessment program. Students need to complete the Unrestricted Motorcycle (R) Licence to be eligible to upgrade from a Restricted Motorcycle (RE) Licence to an Unrestricted Motorcycle (R) Licence. This course has minimal practise and you must have extensive riding experience and be riding a manual motorcycle regularly in mainstream traffic conditions and be confident in cornering, low speed clutch, gears and braking control. Extra fees will apply if you should require additional training to reach competency. If you have experience riding a motorcycle larger than 250cc, this will be an advantage as the 650cc motorcycle used in the assessment is heavier than what most students are used to. A class RE provisional or open licence (or interstate or foreign licence equivalent) and have held it for at least two years. Note: If issued before 1 October 2016, you are eligible to do the unrestricted (class R) course after one year. A licence with an ‘RD’ condition, and a Returning Driver Certificate stating you can learn to ride an R motorcycle. Some students may benefit from having a 1.5 hour refresher training course session before they complete the Q-Ride assessment. This 4 hour competency based training and assessment course is designed to reinforce and further develop your riding knowledge, cognitive skills and risk management strategies. During this course you will need to demonstrate a range of skills and habits both on our car-park facility and on the road. 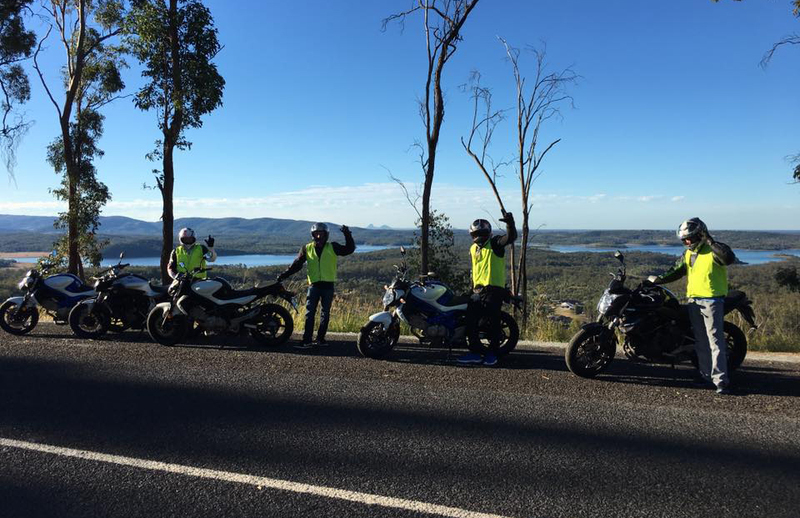 You will complete a 1.5 hour road ride where you will show that you are competent in the aspects of managing routine and more complex riding situations on a more powerful motorcycle, to reinforce appropriate riding attitudes and to minimise the likelihood of harm due to inappropriate riding skills, behaviours or risk management. Please ensure you read all this information below before commencing your motorcycle licence course. DECLARATION FORMS: Please click on both links one and two to print this application form. Please fill in and bring on the course day for your instructors. It is not Ride Smart’s responsibility to check if you have the correct licence. No monies will be refunded if you are not eligible. Please call TMR on 132 380 to check your eligibility. CANCELLATION POLICY: A fee of $100 will be charged if you should fail to give 3 full working days notice of a cancellation/moving a course date. A full course fee will be charged on weekends, if you fail to attend or give insufficient notice of cancellation, this also applies to gift vouchers and will be deducted from the prepaid amount. Once you have successfully completed the course and are deemed competent your competency declaration will be processed online and you will be able to apply for your Unrestricted (R) licence online or, you can apply in person at the Department of Transport.